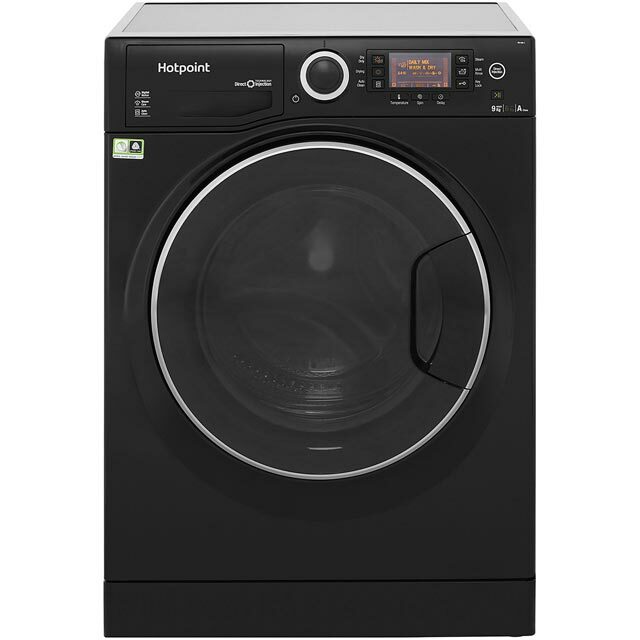 Speed up laundry days with this Hotpoint washer dryer in a stylish black finish. The 9kg drum can handle the washing of a medium-sized household. It’s rated A for energy efficiency, so it won’t cost the earth to run. The Anti-Stain programme uses a 40°C temperature to remove 20 of the most common stains, whilst being gentle on fabrics. If you need a small load clean in a hurry, you can select the 30 minute Quick Wash. And, for delicate jumpers, the Woolmark Green programme uses a cool temperature and gentle spin. I love my new washer dryer, it looks lovely in my kitchen. The cycles can be a bit long but other than that my clothes come out smelling lovely. It looks fantastic in our new kitchen and is very easy to use once you get use to the many different functions it has. 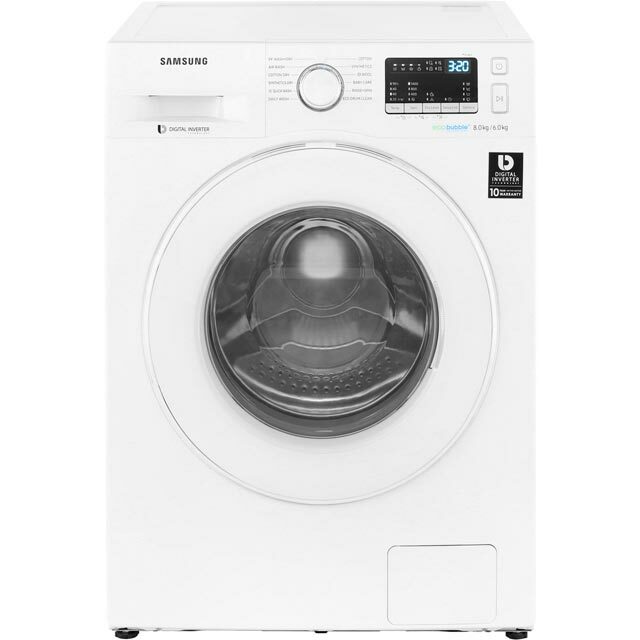 The only advice I would give is that it is best to under fill it's Large drum if you are planning to use the dryer function. I for one do not use a set of scales every time I use a wash but maybe I'm just weird. Large load size is a godsend. Washes staines very well with enough settings for all needs. Also very quiet when washing, can only hear your clothes tumbling. Child lock feature is a lifesaver, no more half washes/random washes/button bashing! Now to see if it will last a long time before any mechanical problems arise. 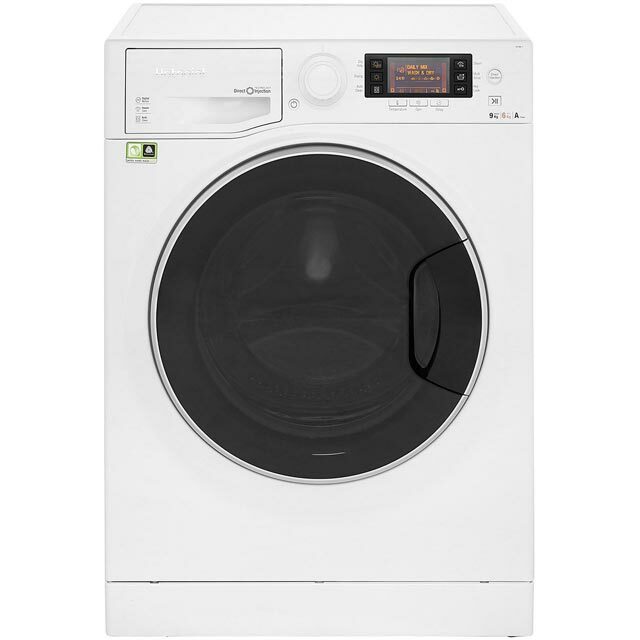 We’ve had the machine for about a week now and it does a great job washing the clothes. Seems simple enough to use and the countdown to finish timer is a great addition that we’ve never had before. The drying side of things - we’re still trying to figure out the best settings as one recent load took 7-8 hours to wash and dry! But the machine looks great, is pretty quiet and we’re very happy with it so far. The instructions are unclear so it’s not a machine you instantly use to full potential. What I’ve managed to interpret so far has worked well. The drum size and quick wash are great! From point of order to point of delivering an excellent service was provided. 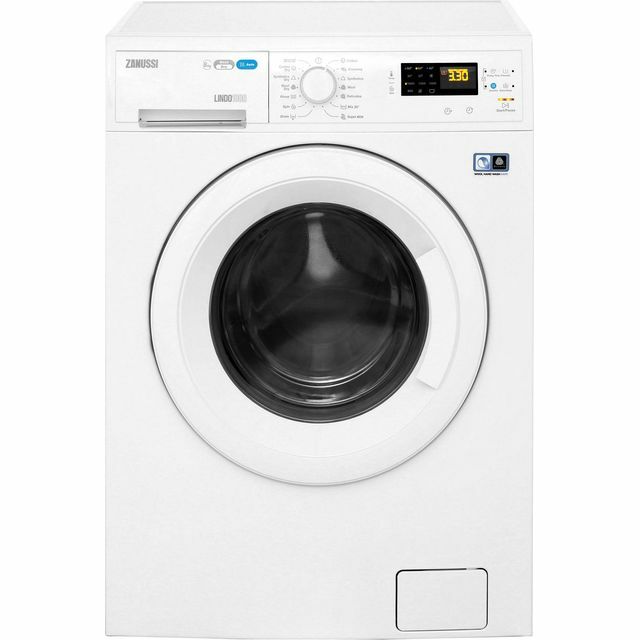 Washer dryer working well however trying to use dryer only is rather complicated as clothes do not dry sufficiently on just one cycle.